Each Jazz Vespers service lasts approximately 45 minutes and includes prayer, a contemporary reflection on the theme, and jazz, with light refreshments following the performance. These services are free and open to the public. All are welcome. 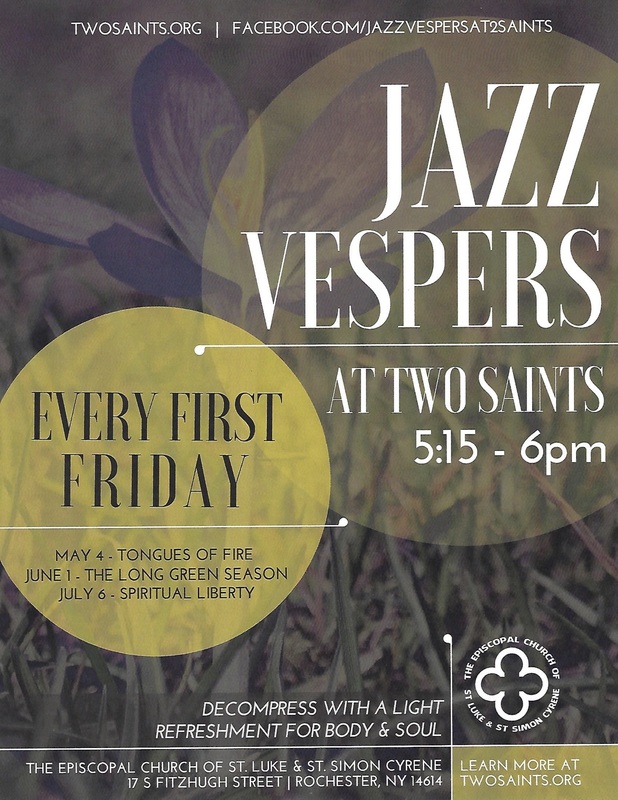 The next Jazz Vespers is July 6! On Thursday June 21, the staff of our diocese traveled to Syracuse, NY to pray with the Episcopal Diocese of Central New York. Bishop DeDe Duncan-Probe presided over a service at Christ Church in Manlius, NY, praying for the separated families crossing the border. Bishop Prince Singh gave the sermon, and is highlighted in this news story by Spectrum News in Central New York. HOPE Lunch is a monthly free lunch in Danville, NY. St. Peter's Episcopal Church partners with various churches in Dansville, offering food and fellowship to anyone who wants to attend. HOPE lunch is in it's 8th year, feeding 80-90 people a month, with participation this year from Peter's Episcopal and the Dansville Free Methodist Church. Any immigrant who lives with you must be treated as if they were one of your citizens. You must love them as yourself.